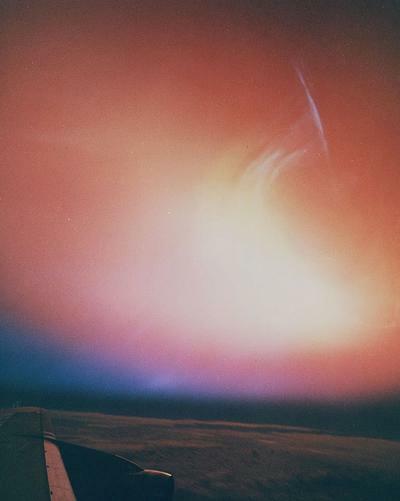 "A Brilliant Violet Flash: Color Lessons from Nuclear Weapons Tests" a talk by Eric LoPresti. LoPresti holds a BA in Cognitive Science from the University of Rochester and an MFA from the Maryland Institute College of Art. 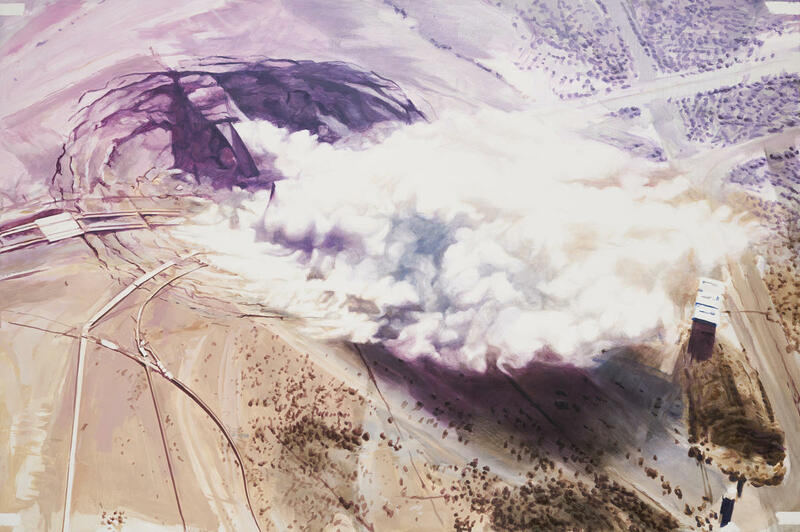 His current exhibition "Superbloom," a large solo show of works about nuclear weapons is on view at New Mexico State University. What color is an atomic blast, and what does that mean for us in 2018? What color is an atomic blast, and what does that mean for us in 2018? In this presentation, Brooklyn-based artist Eric LoPresti discusses his artwork, contemporary theories of aesthetics and how thinking about color vision can change our understanding of nuclear weapons. Building on the concept of the “apocalyptic sublime,” this talk leverages imagery from government archives, popular films, scientific literature and the international art scene to challenge our collective experience of beauty and fear in the Anthropocene. Recent solo exhibitions include Blooms, at Elizabeth Houston Gallery (NYC), Blueprint Paintings at University of Rochester (NY), No Blue Skies at Kunsthalle Galapagos (NYC), and Test Site at the National Atomic Test Museum, part of the Smithsonian Institution (Las Vegas). A winner of the Faber Birren Foundation Award and the Miami Young Painters Award, his work has received mentions in The New York Times, Art in America, Artforum.com, NY Arts, ArtLog.com, Nature, The Denver Post, The Seattle Times, Vegas Seven Magazine and the Village Voice. LoPresti holds a BA in Cognitive Science from the University of Rochester and an MFA from the Maryland Institute College of Art. His current exhibition "Superbloom," a large solo show of works about nuclear weapons is on view at the New Mexico State University. Sponsored by the College of Liberal Arts, the College of Liberal Arts Leadership Board, and the Marjorie Barrick Museum of Art. Co-sponsored by the Department of History.